There are currently 30,221 users on this website. 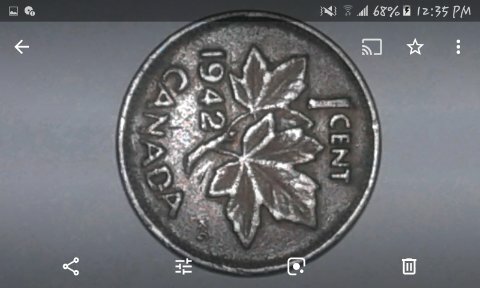 Need Help With My 1942 George VI Small Cent. Error. Grade And Value. 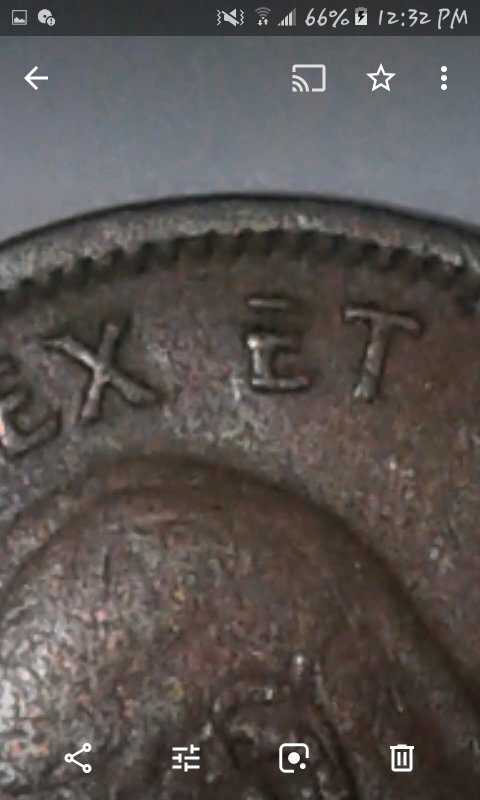 Vertical portion is missing on the E in EN and looks to be a mint error. I'm new to this so I'm not %100 pos. Also on the rim in front of Georges face there is 2 indents that line up. ? Any information will be great. Thanks. 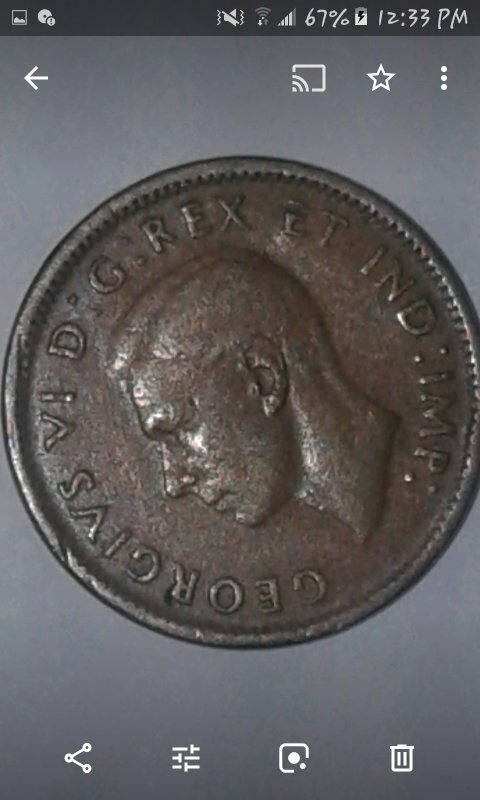 judging from the age and wear on that coin, I think it is just PMD (post mint damage). 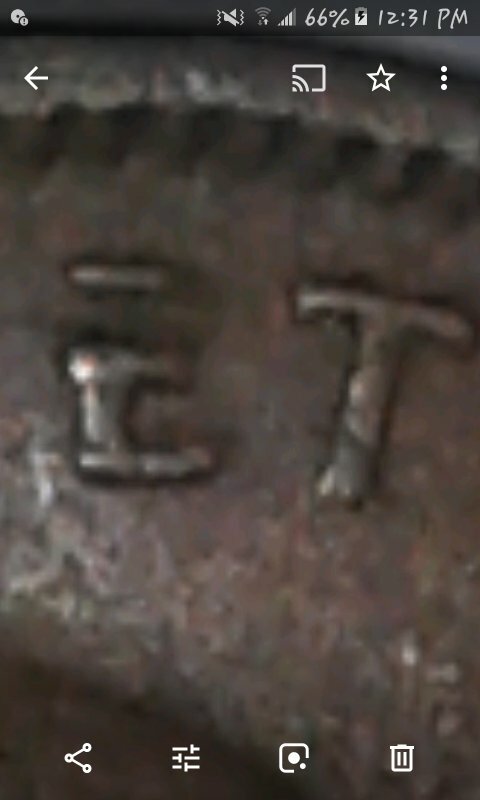 maybe the E is a struck through error but I can't tell from the photos. even if it was, you wouldn't get much of a premium for it due to the condition. Looks like damage on both accounts. of the coin and I can't see how this would happen at that time. I don't think this is PMD. It looks like a filled die. Forum. Be interested to see what they have to say. It is damage without doubt. A lump of displaced metal on the left of the vertical portion of the E .
Thanks everyone. It is odd, and a rarity, correct? Monetary value of any kind? Anyone care to give a shot at grading it? It looks like PMD to me as well. From the photo quality, it's hard to tell grade .. F-12 maybe, who knows. No extra value for the "E". I would grade it VG-8. No extra value for damage.